Written by Ajam editor Alex Shams. 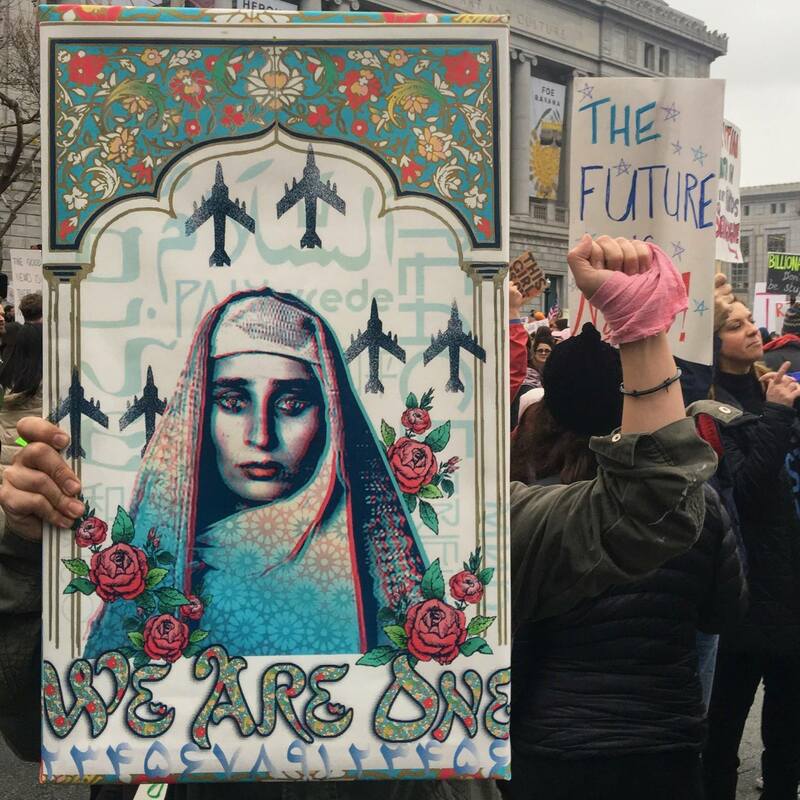 Among the most iconic images from the Women’s March in January was a poster of a woman wrapped in a hijab covered in the flag of the United States. 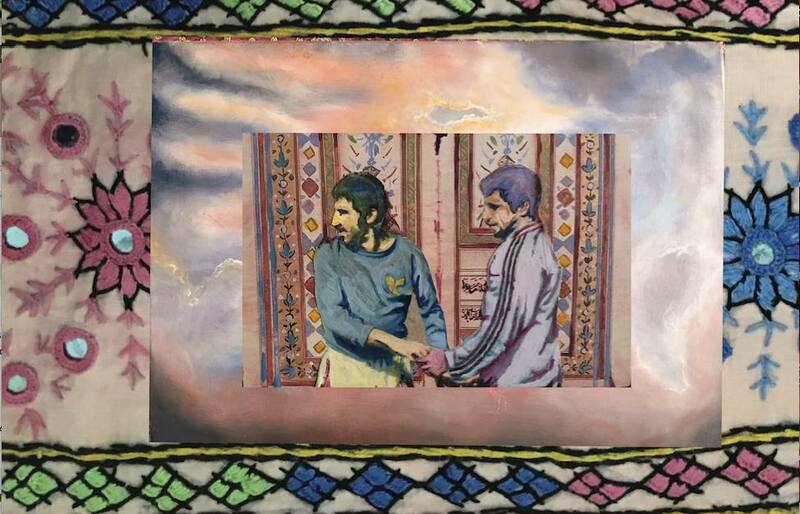 The image intended to show strength in diversity and challenge representations of America that excluded Muslims. 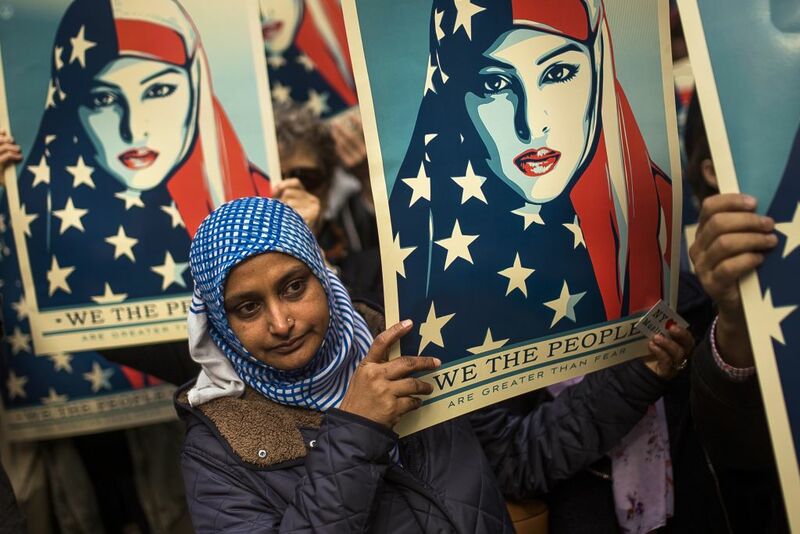 But some complained that the poster co-opted the image of a Muslim woman as a patriotic symbol – and also looked a little too much like an outfit recently worn by the (delusional) head of the Republican Muslim Coalition. What does an American flag mean to an Iraqi-American woman who was forced to flee her homeland because of it, or a Yemeni woman whose homeland is daily bombed by US weapons? Indeed, claims that Muslims are “part of America” too often fall into the trap of reifying American exceptionalism, muffling (very much needed) critique of US policies both at home and abroad and instead trying to fit into a “model minority” slot. 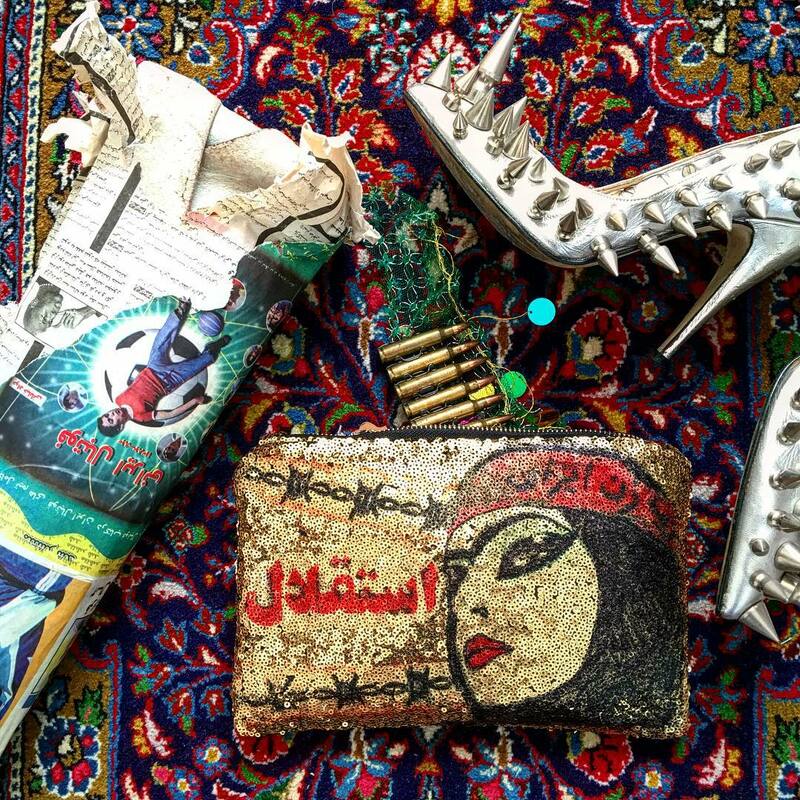 Enter Hushidar Mortezaie, an Iranian-American fashion designer and visual artist whose work offers a stunning counter-image to Muslim-Americans dressed up in nationalism. 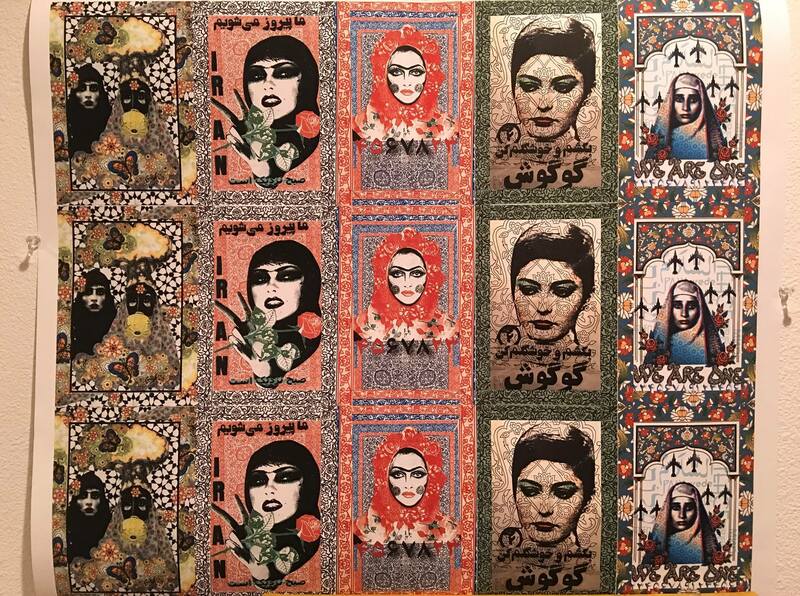 His poster “We Are One” depicts an Afghan woman surrounded by flowers, bomber planes, Persianate architectural embellishment, and the word “Peace” in various languages. 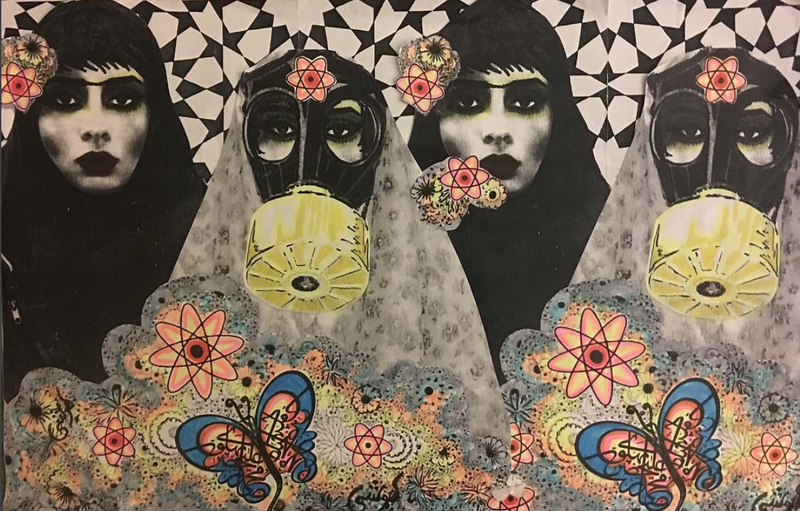 Hushidar’s poster does not shy away from the reality of war in modern American history; instead, it embraces that history, highlighting the strength and resilience of women across the Middle East in the face of decades of American and Western invasion, bombing, sanctions, and Islamophobia. 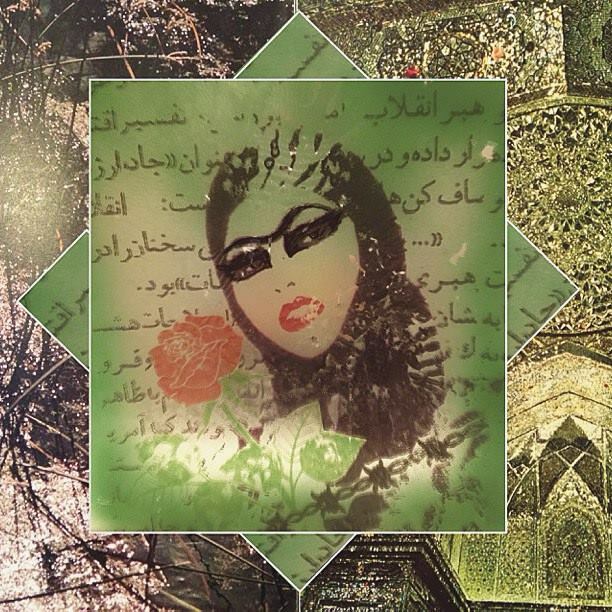 Hushidar’s work is no stranger to powerful women. 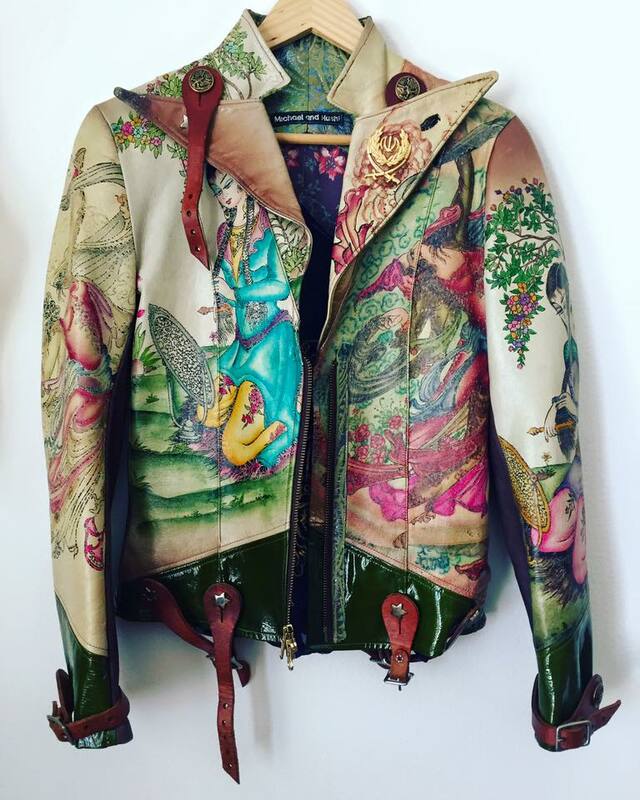 He has been involved in the fashion industry for decades, and much of his more recent works play with representations of powerful Iranian women as well as themes of religion, masculinity, and gender performance.